With the season coming to an end for many football clubs and sports clubs we have the perfect venue for an end of season outing to mark the occasion. At Ballybane FootGolf we have catered for football teams, GAA teams, tennis clubs, rugby clubs and more. 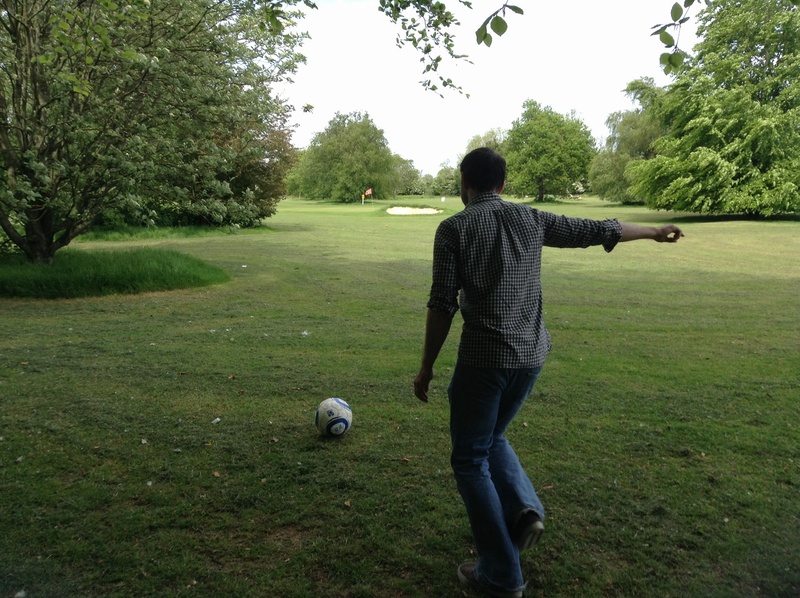 FootGolf at Ballybane offers a fun activity that also acts as a great team bonding finale to a busy season. We dont just offer FootGolf either. 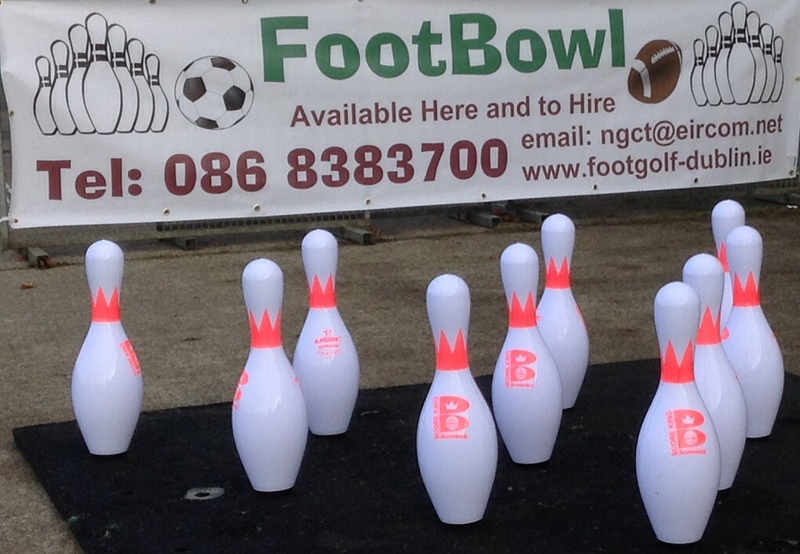 At Ballybane FootGolf you can also play Par 3 Golf, Laser Clay Shooting and, the newest addition to our facility, FootBowl. This means that you can take part in one or a number of activities. Discounts are available, depending on the number of players. If you require food, we can arrange delivery from our local takeaway (must be paid on the day of event prior to order). Where one season ends another begins and with lots of sport to look forward to over the Summer, Ireland at Euro 2016, the Olympics in Rio, the GAA All Ireland Championship and more now is a great time to book your end of season outing. 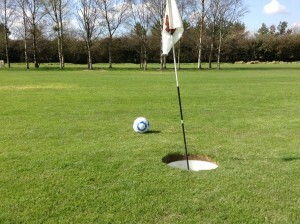 Footgolf is a precision sport where players kick a soccer ball into a cup in as few shots as possible. The origins of footgolf are unclear as they can be attributed to many countries at the same time, as early as 2006. The first nine-hole footgolf tournament on a golf course, and played as the sport is known today, was organized in the Netherlands in 2008 by Michael Jansen and Bas Korsten, and played by a mix of Dutch and Belgian professional footballers. Jansen learned of the sport from Dutch footballer Willem Korsten, who recalled playing a similar game during his time with British club Tottenham Hotspur who would end training sessions by kicking the ball from the pitch back to the changing rooms in as short a time as possible. Later Belgium and Hungary switched from playing in parks to golf courses and the game was introduced to Argentina in 2010. The American FootGolf League was founded in 2011. The game was internationally publicized, and countries worldwide started collaborating on the development of the game. By October 2014, the game was offered at more than 240 courses in the United States and was in the final stages of being recognized by Sport England. The game’s emergence coincided with the decline of the popularity of golf among young people, with 643 courses closing between 2006 and 2014 in the United States.The sport has financially saved many struggling golf courses, and the Professional Golfers’ Association of America and World Golf Foundation have both acknowledged footgolf’s contribution to helping golf courses generate more income, and noted that it may contribute to the growth of golf itself. PGA president Ted Bishop said that “I think it would be ludicrous to think there won’t be a percentage of those people that might say, ‘Hey, you know what? I think I’d like to try and play golf.” One course in the United States has footgolf holes running perpendicular to regular golf holes, so that both games can be played at the same time. Three countries combined to form the Federation for International Footgolf in June 2012, and the first Footgolf World Cup was held in Hungary that month. In the spring of 2015 the National Golf Courses Owners Association (NGCOA) recognized the American FootGolf League (AFGL) as the governing body for the sport of FootGolf in the U.S. In 2016 the second FootGolf World Cup was held in Argentina. A sport with near identical rules, codeball, attained brief popularity in the United States during the late 1920s and 1930s. Dont worry there is no dress code at Ballybane FootGolf . The only request we have is that you wear clothes of some kind! 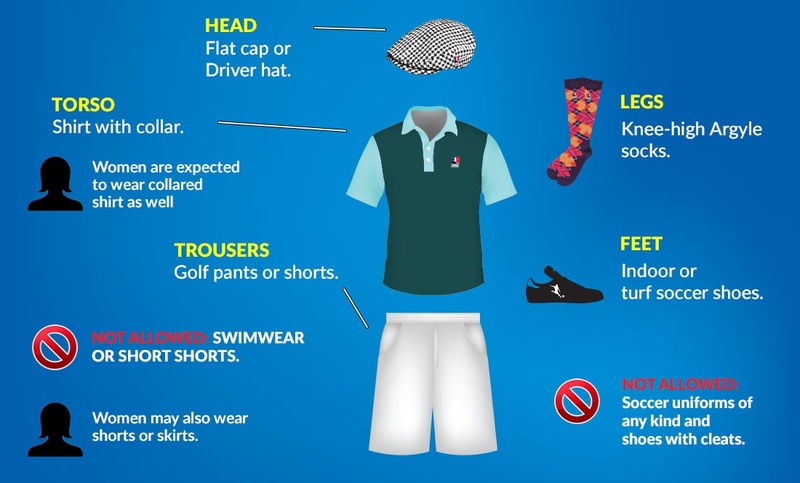 If you do want to wear the official FootGolf outfit, here is a guide to help you. There are no football boots with studs or cleats, only flat shoes or runners can be worn. This is the only restriction we have in terms of a dress code so if you want to dress as a smurf or Homer Simpson that is no problem! Take a picture and we’ll put it on our Facebook page for the world to see! Enjoy your game at Ballybane FootGolf. The Rugby World Cup is almost here, why not bring along a rugby ball and play Rugby FootGolf! 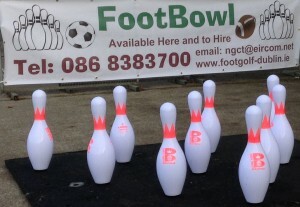 The only game of its kind in Europe, FootBowl combines elements of football, bowling and more in a new fun activity. The game is played by two or more people and is great for families, groups stags, hens and team building. Inspired by tailgate party games that are played before American Football games, FootBowl is great entertainment that will have you hooked from start to finish. Looking for something to do for the summer holidays, why not play two sports in one. FootGolf is one of the most popular sports in the world and Ballybane FootGolf is Ireland s number 1 FootGolf course. 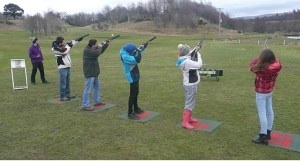 Fun, fresh air and exercise and takes less than 90 mins for a group of 4 people. Child and family rates available. 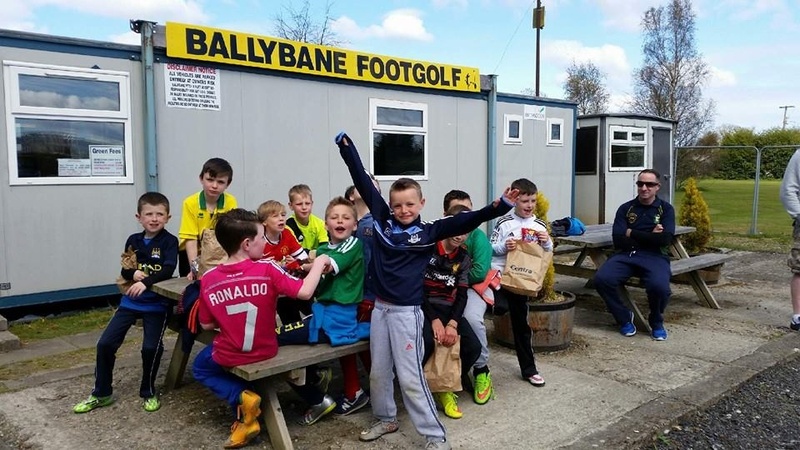 On the 68 bus route and a short drive from the N7, N4 and M50, FootGolf at Ballybane is well located no matter which part of the country you are coming from. Adamstown train station is only a 5 minute taxi journey to the course. 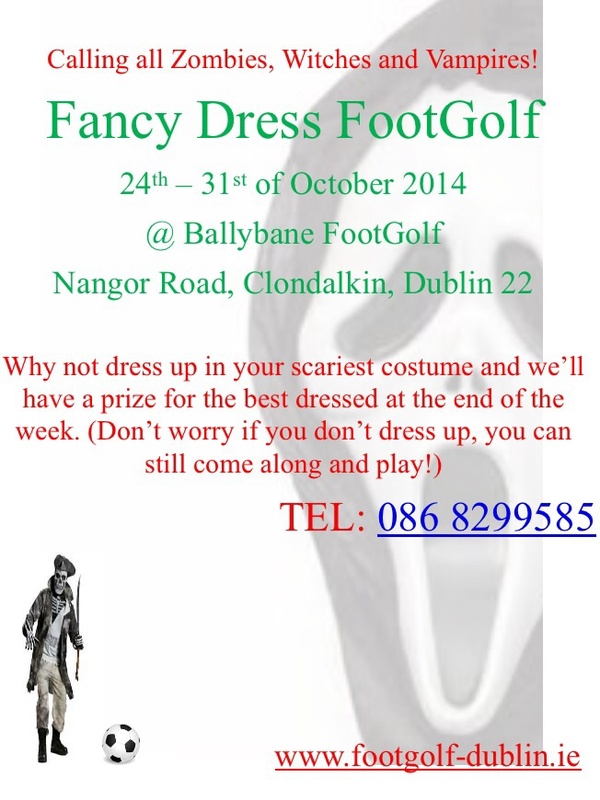 St Patricks Day is on its way and if you are looking for something fun to do why not come to Ballybane FootGolf. A game that can be played by all and only takes 90 minutes for a group of 4 people. FootGolf has become hugely popular in Ireland and the World. If you want to find out the rules of FootGolf check out this link to the official rules. We are located on the Nangor Road, Clondalkin close to Baldonnel just a short distance from Clondalkin, Lucan, Newcastle, Rathcoole and Tallaght. The 68 bus stops just a minute walk from the entrance. Only 10 minutes from the M50 exits N4 and N7 and only 10 minutes from Adamstown train station making it easily accessible whether you are travelling from Blanchardstown or Dunboyne, Swords or Malahide, Bray or Templeogue or Kildare, Wicklow, Kilkenny, Carlow, Meath, Westmeath, Offaly, Laois or anywhere in the country. With a beautiful parkland location and a par 3 golf course also available make a day of it at Ballybane. Copyright © 2019 Newcastle Golf Centre Ltd. All Rights Reserved.